Update 11/12/13: it's open now! 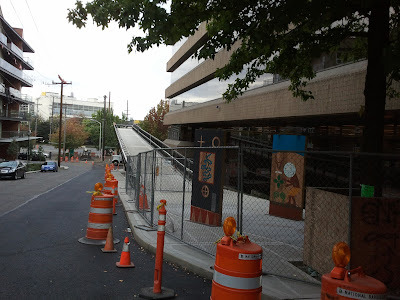 Stop me if you've heard this one before: there will be another delay in the opening of the eagerly anticipated West Thomas overpass because of handrails and LEDs for the handrails. The new 'soft' opening date is mid-October; see the project page for the full update.